Home / Tagged "ugly christmas sweaters"
Once upon a time, ugly clothes were just that: ugly. But somewhere between 1980’s sitcom dads and indie office parties, the ugly sweater became a fashion staple. So when did that transition occur? Where did the ugly Christmas sweater come from? The sweater has been around for centuries, but that’s not what we’re concerned with here. We want the ugly holiday sweater. The obnoxious greens, the bright reds, the repeating patterns. You know the one. When did that become part of our yearly holiday outfits? The short answer is that the popularity of the ugly Christmas sweater was born out of our obsession with nostalgia, specifically our affinity for the 1980’s. The long answer involves a deep dive into the past. 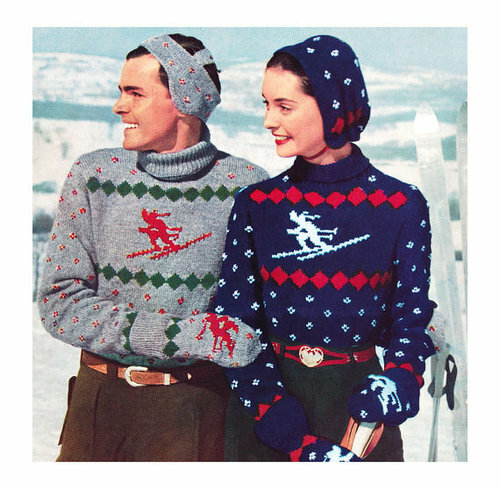 Before Chevy Chase brought the sweater to the big screen in National Lampoon’s Christmas Vacation, ugly christmas sweaters first became mass produced in the 1950s. 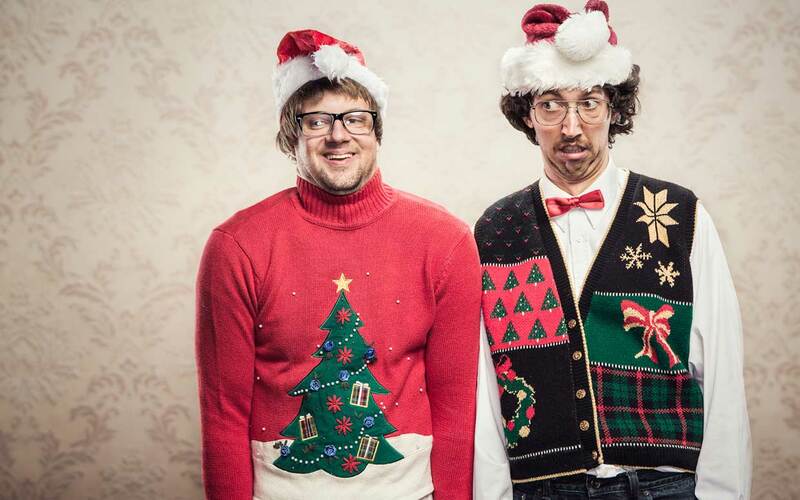 These sweaters were called “jingle bell sweaters” and their ugliness was genuine, not ironic. Unfortunately these gems failed to garner anything, but modest popularity in the years following their inception. We can’t understand why. The ugly sweater was thrust back into the public eye due through television and movies. It seemed like the genuine ugliness of the jingle bell sweaters became purposefully ugly in the 80s. Through The Cosby show and National Lampoon’s Christmas Vacation, the ugly sweater became associated with quirky dads. Ugly was in, even if it was just for a little. The ugly sweater took a backseat to scrunchies and fanny packs in the 90s but it wouldn’t be down for long. 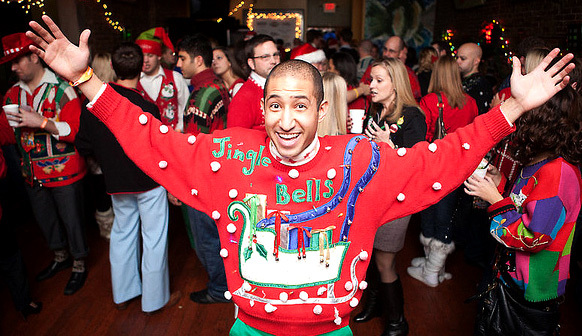 In the early 2000’s, an ugly sweater renaissance was born in Vancouver, Canada when two men threw the world’s first ever ugly sweater party. Out of this came the ugly sweater culture we know now. Ugly Sweaters: Where Are They Now? 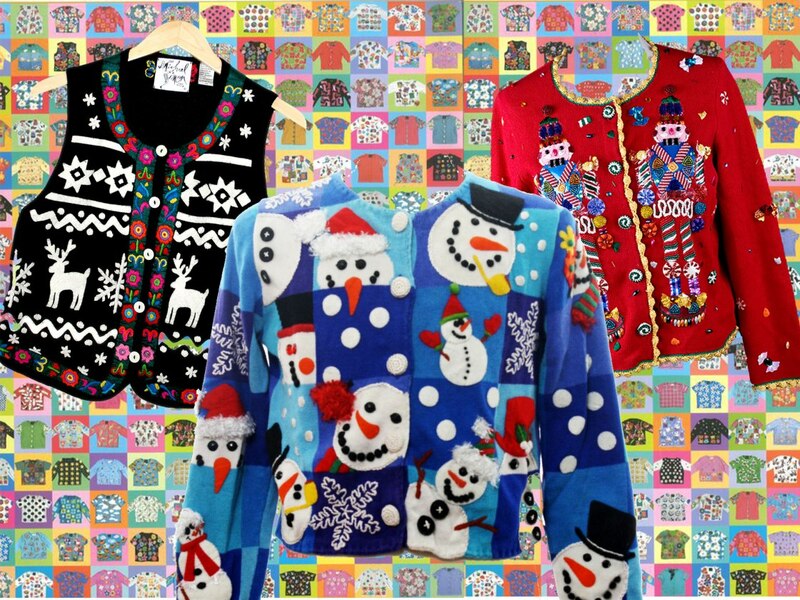 When the ugly sweater became a staple for holiday parties, it became a symbol of showmanship. Contests are created to reward those with the most ridiculous designs. Major retailers like Target, Kohl’s, and Macy’s now have their own stock of sweaters. What once was purposefully ugly has now become ironically ugly and loved all the more because of it. Now that you know the history of the ugly sweater, check out these celebrities that have been seen rocking ridiculous sweaters during the holidays! Looking your best has never been this ugly! Get Ugly Sweaters is new on the scene and is already making a statement. We are proud to have just launched our first collection of holiday sweaters, a mixture of designs that you won’t see anywhere else. This represents an authenticity that lives inside us all. #GetUgly inspires people to celebrate their sense of humor and creativity. 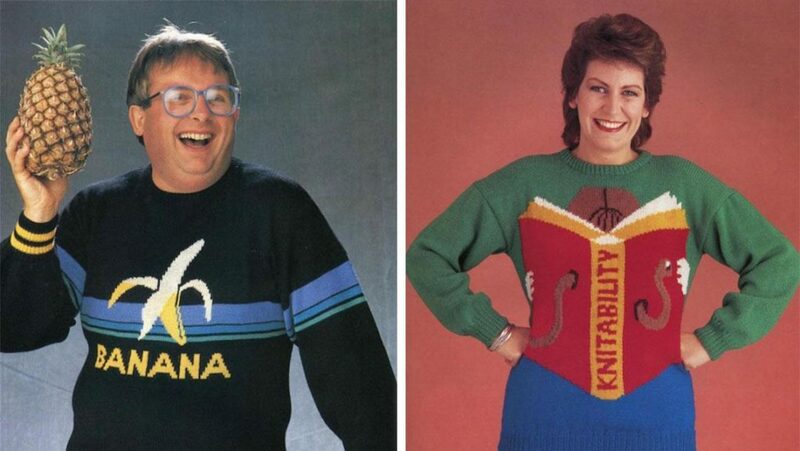 Our sweaters will allow you to harness these gifts and display your unique disposition. Each of our sweaters has a distinct personality: Rudolph rages across the North Pole playing sold-out gigs with Santa; Jesus, Frosty, and St. Nick relive their college days on a worldwide bar crawl and The Christmas Story’s infamous leg lamp invokes a fragile holiday desire in us all. There are many more designs to choose from, all equipped with equally captivating character traits (and flaws). Yes, looking ridiculous is fun and brings people together. But now it also helps people in need. When you buy one of our sweaters you will be feeding fourteen people a hot nutritious meal across the state of Massachusetts. Get Ugly Sweaters has paired with Project Bread, an organization that strengthens local communities by promoting sustainable and reliable access to healthy food for all. So don’t be a Cotton Headed Ninny Muggins again this year, #GetUgly with us. Copyright ® 2018 GetUglySweaters.com. All rights reserved.